In 2017 I was awarded a work experience in London with Philip Ihle. I was very happy to have the chance to work with Philip since I am really interested in his way of making instruments. Philip introduced me to drawing the outline of moulds using the method of Francois Denis. 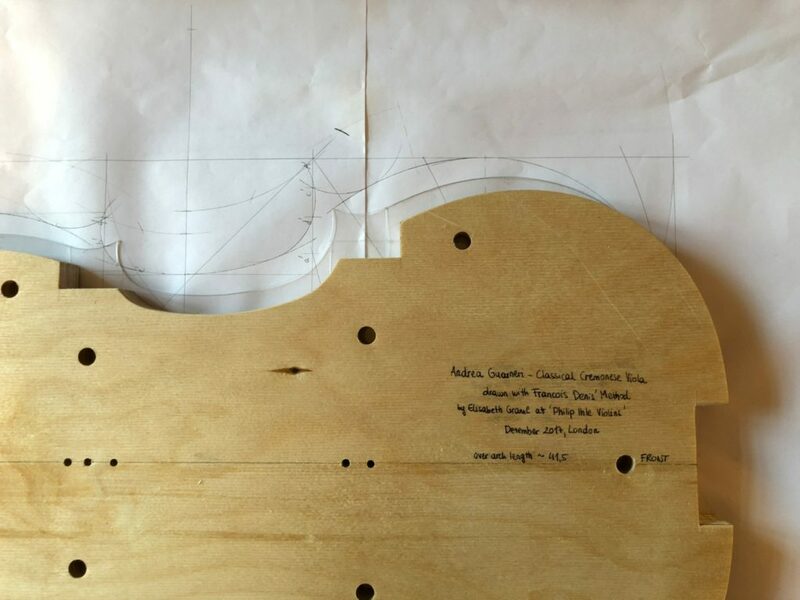 For this project we chose a classical Cremonese viola (Andrea Guarneri). To start with, I drew everything in pencil. Once I had the drawing finished in pencil, we decided to move one step further – we used ink instead. This led to extremely fine and precise lines. I was fascinated by the interaction of the different radiuses and curves. It helped me to see the outline of instruments from a new point of view. Next, I made a template based on the drawing. To follow the principal of working with radiuses, I used gouges to cut out the corner areas. Step by step I finally had the mould of the viola completed. I also prepared purfling so it would be ready to use. We dyed the black veneer, used poplar for the white and cut everything into 2mm strips. During my time at Philip’s workshop he was working on a new instrument, for which I thicknessed the front plate. Due to his very good advice on thicknessing plates, I could improve my skills and work to the thicknesses we wished to achieve. 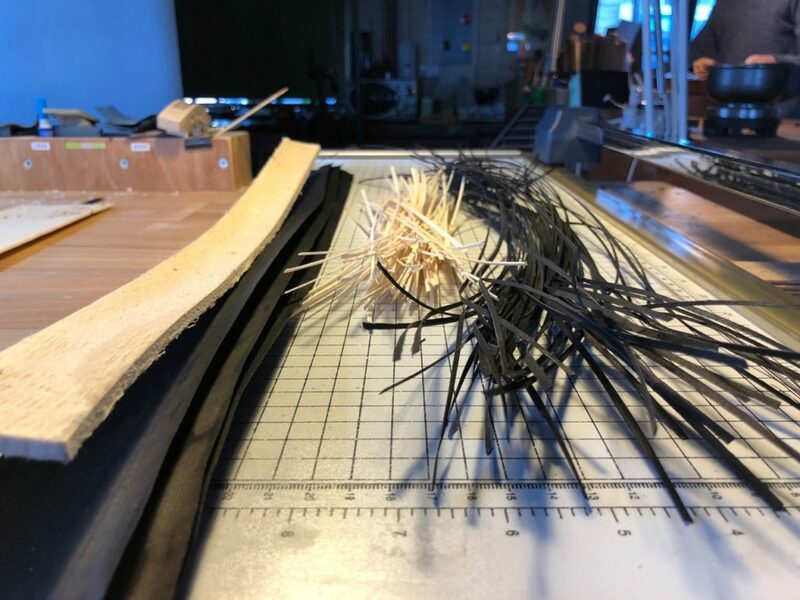 Philip gave me many different ideas and very professional advice, not only on making, but also on how an instrument could be adjusted to sound its best. He has an excellent skill in improving the sound to the customers’ exact wishes – it was highly interesting and useful to watch this. Time was literally flying while staying at Philip’s workshop for these two amazingly informative weeks.